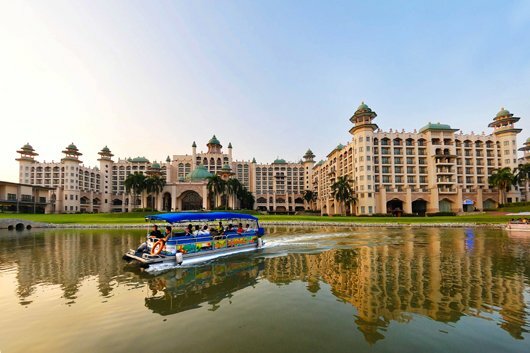 The Palace of the Golden Horses is a component of the Mines Resort City and tagged as Asia’s Most Extraordinary Hotel, is a world-class award wining luxury hotel. 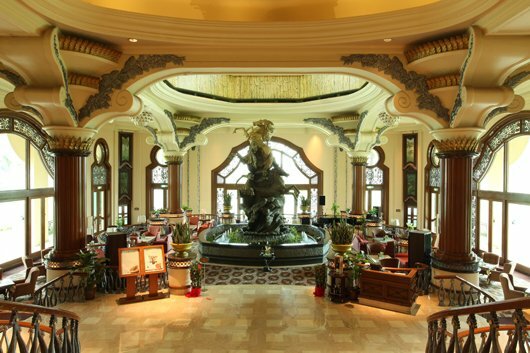 The Palace of the Golden Horses has played host to some of the world’s most illustrious names and prominent figures. 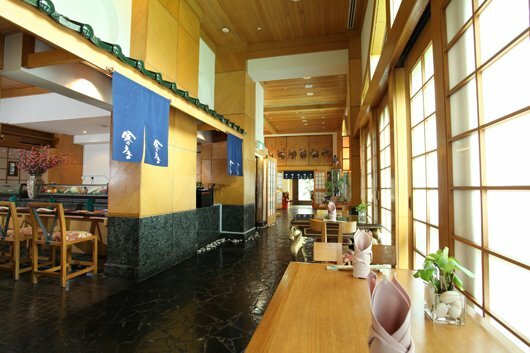 This hotel offers a harmonious blend of Moorish architectureand Malaysian culture. 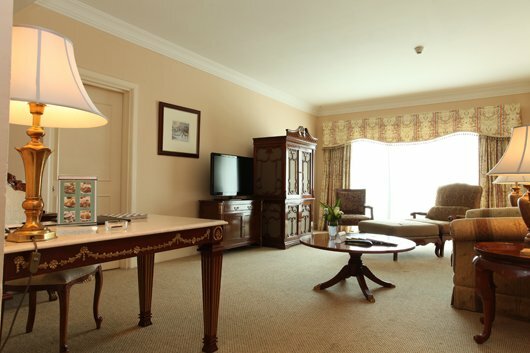 The Deluxe Room has a sizeable dimension of 40 sq.m. each. 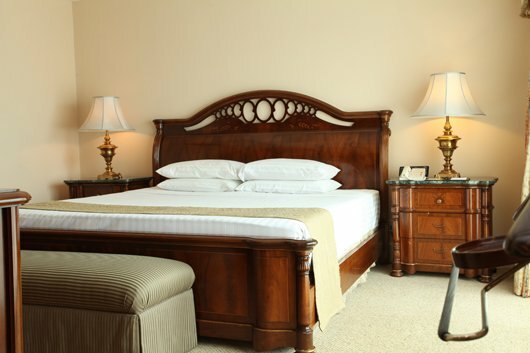 Guests are entitled to a choice of a King or Twin beds with a serene garden view or the calming lake view. Our largest restaurant is an all day dining restaurant with a fairground setting offering a-la carte menu and buffets for breakfast, lunch and dinner. Our chef’s gastronomic array of cuisines from local fare to international delights will surely satisfy your culinary cravings. 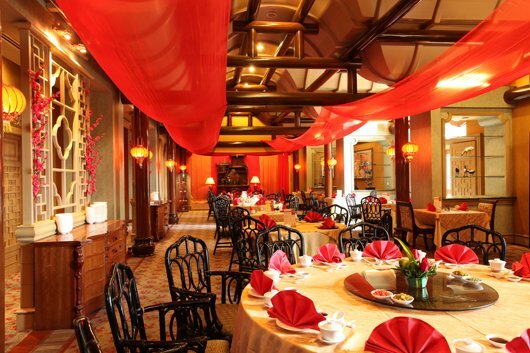 An exquisite yet relaxed dining place where guests are feted to gastronomic delights from dainty Dim Sum to the innovative flavors of our modern Cantonese Cuisine. With a tastefully appointed interior, there are five private dining rooms perfect for any special occasion or corporate function. 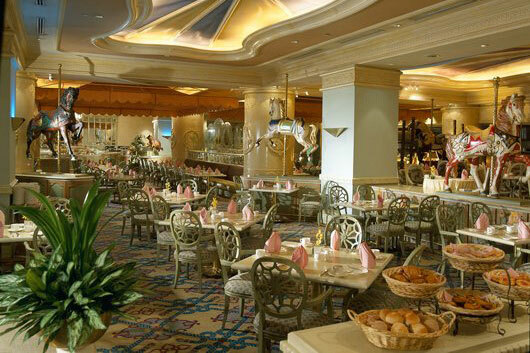 Enjoy value for money and irresistible homemade pastries and cakes at Side Walk Cafe, located at the hotel lobby. Savour the finest authentic Northern Indian cuisine right here in Sagar. Sit back and indulge in modernly furnished restaurant as you wine and dine from buffet dinners to specially crafted lunch menus. All it takes is just a 20-minute drive on a pretty straight road and you will find yourself in the heart of Kuala Lumpur from The Palace. Listed are just a few of the major attractions in Kuala Lumpur, the capital of Malaysia. Chinatown, also known as Petaling Street is an attraction not to be missed. Souvenirs, food, and almost anything can be found here. Put your bargaining antics to the test and have a good time. Just a 5-minute walk away from Chinatown is the Central Market - the perfect place to bring home a souvenir or two - home of Malaysian arts & crafts. Be awed by architectural wonders of the former Supreme Court, also known as the Sultan Abdul Samad building and also the Old Railway Station. 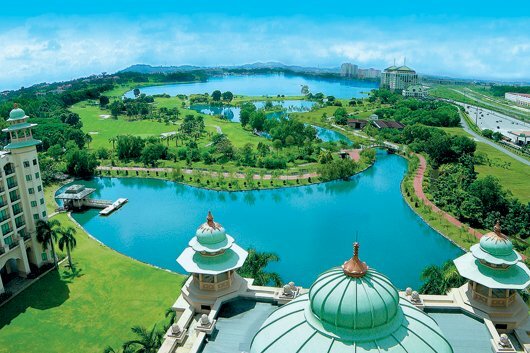 It is within close proximity to the Administrative Capital of Putrajaya and Cyberjaya, the nerve centre of Malaysia’s Malaysia's Multimedia Super Corridor, the National Sports Complex and the Commonwealth Games Village at Bukit Jalil, Selangor Turf Club and Technology Park Malaysia.